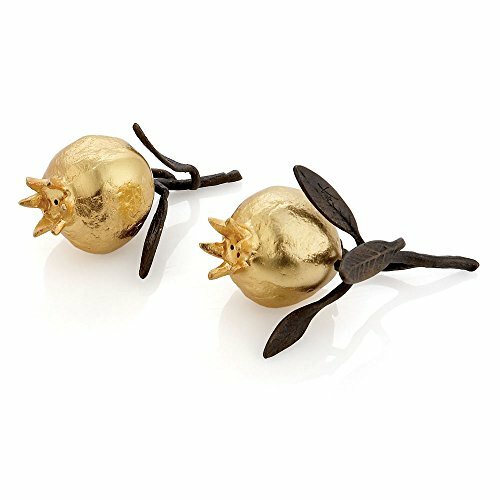 The Michael Aram Pomegranate Collection takes its inspiration from one of the most universal and ancient symbols in the world. The fruit has been prized across the globe, across cultures and across time as a representation of life, rebirth, and renewal as well as fertility and union. "I grew up around pomegranates - from their use as natural dyes on the antique rugs I used to crawl on as a baby to an integral ingredient in the food that I love. When I'm at my home in New Delhi, I wake each morning to the taste of fresh squeezed pomegranate juice. The color, the smell, the delicate flavor all make it feel like a magical elixir to me. ".